Yes I know it’s January and it’s the season of self control and austerity but today I just can’t keep it in. I am usually very suspicious of over effusive FB posts about the ‘lovely hubbie’ and perfect family life and think if someone has to advertise the health of their relationship then something’s amiss, but today I am breaking my own rules and shouting it out and thowing glitter for Lydia – my lovely daughter who is thirty today. Thirty. I can remember being thirty: two small and energetic children, an exhausted husband, a mortgage, a house needing more work than we could afford – a full night’s sleep being a distant memory. It seems impossible she’s got there too. 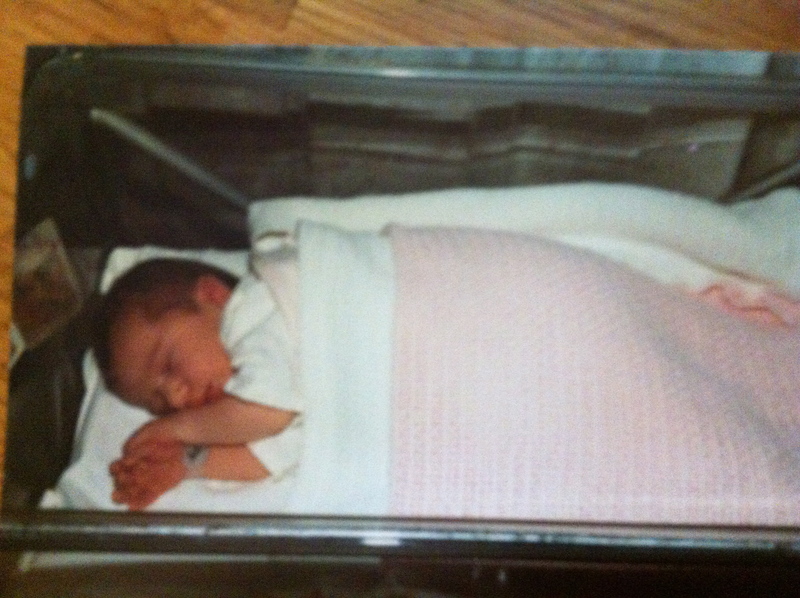 This time thirty years ago I was lying in Pembury hospital in a state of soreness and disbelief. She had taken a long time to come – I’ll spare you the details. Overnight and between contractions I was aware of the rising snow level on the window sills outside , a detail you’d include had you made a film of it all, and you wouldn’t want to really, childbirth is a miracle but a bit grisly- as I say it was long and gruelling but she was worth the wait. After a shaky tearful start, more my inexperience than her character, she blossomed into a sunny little soul who liked nothing more than mauling cats and babies and planning her own (large) family. Sheets of A4 covered in pictures of buggies and babies and travel cots and every item of baby paraphernalia you can imagine. And now she has them, and then some. Lydia is as committed to her family now as she ever promised to be in her illustrations. She can be disorganised and somewhat haphazard but in her care of her little ones and desire to build a stable base for them with her husband she is unstinting. She has a heart full of grace and love and of course she wants a clean house and a good sleep, but she is aware just how quickly these times pass and wants to enjoy these short days with her little family more. The days are long but the years are short. It bears repeating. A small example. She’s been worrying about William who has a bottle at bedtime, when will he give it up? How will we manage it? The bottle fairy? etc etc As it happens he found a sippy cup he likes better. She didn’t push it and he came to it on his own. Wisdom. Years ago my mum did a calligraphy project and copied out the Desiderata. I was a small child and a new reader but parts of it stuck with me. At the moment the phrase which resonates is “No doubt the universe is unfolding as it should”. I wish I’d had a little more patience and grace with my own children and had allowed more to unfold. I am still learning. We think we shape our kids but it’s a two way street. So let’s hear it for daughters, wherever they are. We love you. You bring warmth and fun and grace and grit. Mwah! Big hugs. 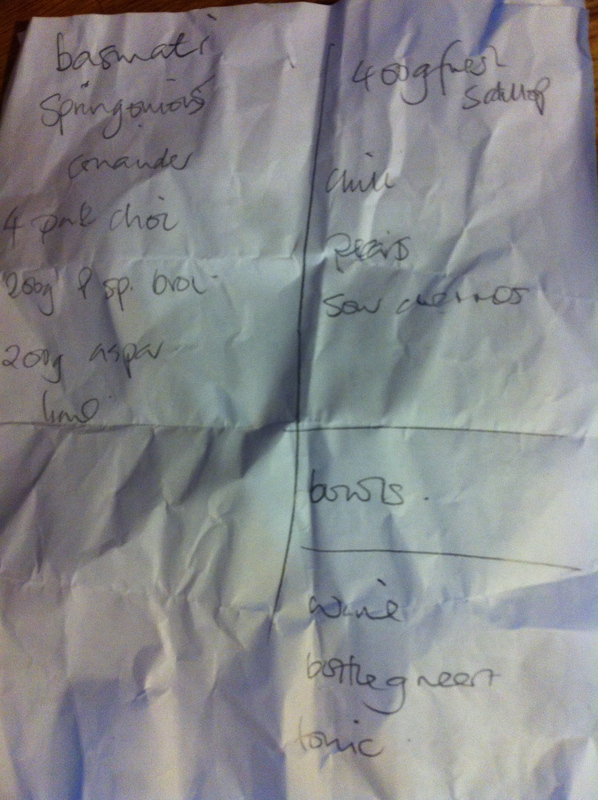 Anyhow tonight I am cooking her birthday tea and here’s my shopping list. Look away now Lydia. See you later.